You ever wonder how they build that big ship in that little bottle. Someone needs very dexterous hands and a lot of patience to put the pieces through the opening of the bottle and assemble the ship inside. 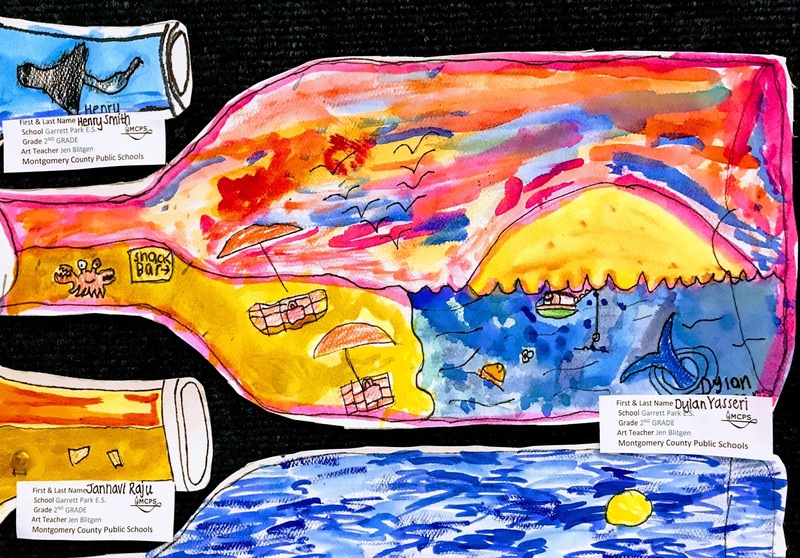 But this second grader, Dylan Yasseri, upped the game on this whole concept and imagined a whole beach in the bottle. The sand, ocean, sky, birds, crabs, fish, umbrella, and even the shack (snack?) bar! This is one reason that kids are so awesome–their purity of heart and their endless imaginations make almost anything possible. The fantasy becomes the reality. The colors are magical too here. (Source: Andy Blumenthal Photo of Dylan’s beautiful painting). I remember learning the adage that if you change any one of these then there is an impact on the others. For example, if you “crash” the timeline on a project to finish more quickly, then you either need more money or you need to reduce the scope. Similarly, if you want to cut costs on the project then you may have to extend the timeline or scale back on the requirements. And when I thought about this, it’s true enough. If you provide more money and time for a project then, of course, you can do more in terms of the scope of the project. 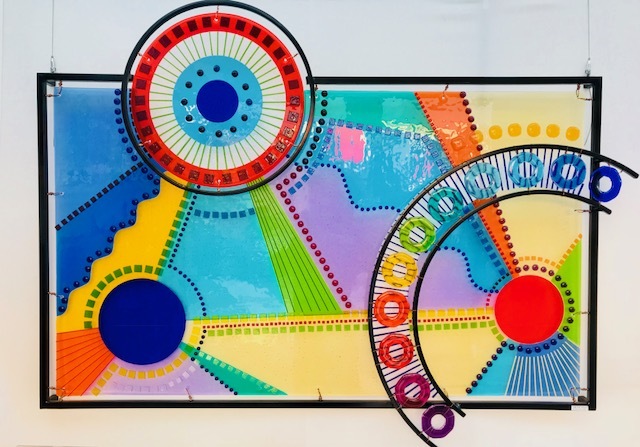 Pour enough bucks and time into something and conceptually, we really can do anything. So excited about the new show called MARS (and yeah, it’s on National Geographic). I watched the season premier and it was awesome! They did this cool combination flipping between the non-fiction of the here and now on Earth in 2016 with all the plans and advances being made to go to settle Mars someday, and the fictionalized future 2033 actual voyage and colonization there. The spaceship, rovers, colony are all pretty amazing and it seems so real like we’re practically there! Elon Musk (SpaceX) does a nice job explaining the vision and the reusable rockets they are focused on to get us cost-effectively to the Red Planet and beyond. The imperative is clear for us becoming a true multi-planetary species, so that we drastically reduce (hopefully to zero) the risk of an extinction level event to humanity. The leap forward of us actually making it to and colonizing Mars is so mid-boggling great that just about everything else literally pales in comparison. Ok, this gives me tremendous technology hope for the future. This 4-year old kid is working diligently on her smartphone, while her mom is shopping not far away in the clothing store at the mall. She didn’t seem to care about the clothes hanging all around her or the fun in the mall or really anything else at all…she was content with her tech! And while I certainly believe in work-life balance and in kids being able to really jsut be kids, there was just something so amazing about the promise of technology, especially for those who are now growing up with it. After all, it was very cute how intent this kid was with all the technology power right in the palm of her hands, and I could easily see a budding CIO in the making here. And of course, with even better and more capable technology in the future. 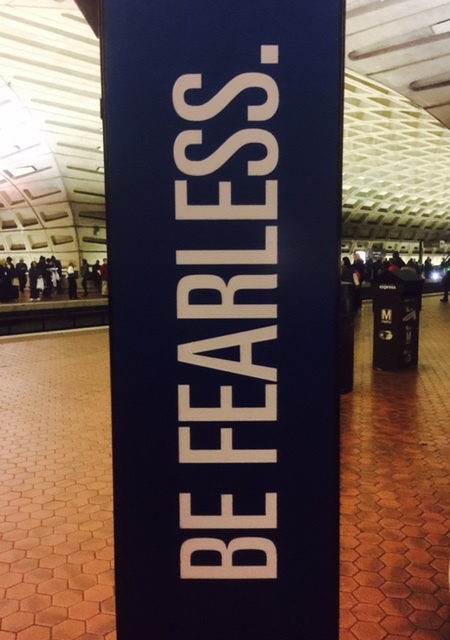 I took this photo in the Metro in Washington, D.C.
No, it doesn’t pay to be wholly fearful–and paralyzed by anxiety or indecision. But it is stupid to be fearless–because being fearless is being reckless. It’s good to think about possibilities and consequences–not everything that can go right will and more often then not, as Murphy’s Law teaches, whatever can go wrong often does. Better to think about what can happen–both good and bad–how to manage the risks and how to maximize the rewards. Have fear of heaven and of bad things–and try to make them better, where you can. Fearless is for those who want to be stupid, act reckless, and end up mortally wounded or prematurely dead. Zander’s passion and energy bring out the best in people–and you can literally see them transformed as their playing comes alive, their faces shine, and they glow under coaching of this conductor extraordinaire. – Speak possibility–create a shift in being (transformation) by seeing the possibility in everyone, and lead people by empowering, not commanding; help people get in touch with their inner passion, so they remember why they love what they do and why it is ultimately important. – Quiet the inner voices–communicate that everyone can get an A and everyone has value; assume the best of everyone, eliminate the fear of judgement, barriers, and mindset of “I can’t do it,” so people can genuinely perform. – Look for shining eyes and radiating faces–you know you are positively reaching people and impacting them when their eyes and face light up; and you need to ask yourself what you are missing, when you aren’t getting this guttural reaction. – Rule #6 (“the only rule”)–Don’t take yourself so %@&$! seriously; mistakes happen and life goes on; really feel the joy, relief, ease, spontaneity, and community around what we do. In essence, Zander’s leadership philosophy is about removing the barriers that inhibit us and releasing our deep inner talents, so we can achieve our marvelous potentials–and self-actualize. If you get a chance to watch this video, I believe it is extremely valuable because the passion, love, and energy that Zander demonstrates turns every face into a presence radiating their own joy and excellence–it is truly leadership unleashed.